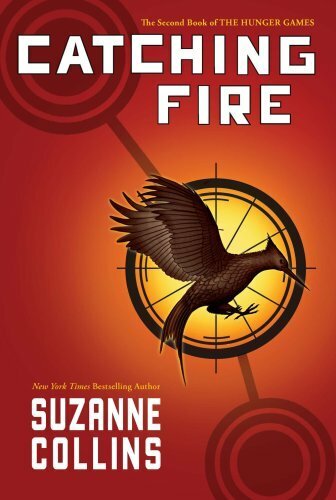 Catching Fire (The Hunger Games, Book 2) By Suzanne Collins(A) / Carolyn McCormick(N) [Audiobook] was written by Author. Catching Fire (The Hunger Games, Book 2) By Suzanne Collins(A) / Carolyn McCormick(N) [Audiobook] was published by Unabridged Audiobook. 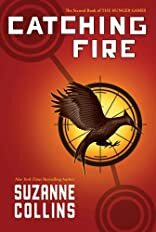 catching fire is the sloppy follow-up to hunger games, which seems to have been written in the frenzied fever of the author's realization that she had a megahit on her hands. the pacing is way off, the plotting is mechanical, the characterization is lazy, and the 'game' section is just lame. and the big reaping twist at the mid-point? it just sits there. it just happens and we're rushed in, totally pushing aside anything genuinely interesting for the sake of plot! plot! plot! it's actually kind of a shame b/c collins is terrific at coming up with story & plot elements, she's just kinda inept at assembling and executing 'em. yeah, i'm in the minority in this opinion... but i'm right. 11/20/2016 Sofia Hellgren said: Loved it and hope there will be more. Love, love, love, love it!! 9/4/2012 Layla Cox said: As with the first one I wanted to shake Katniss, but absolutely loved this. 5/10/2012 Karen Marie Hart said: Pulls the heartstrings. 4/2/2012 Courtney C said: Best of the 3. 2/3/2012 Carol Knee-Omant said: Loved all three. 1/15/2012 Gwynneth White said: Excellent follow-up to The Hunger Games. It dd not have the 'shock-factor' of the first book because, well, it's the second book. But I enjoyed the development of the characters - especially Peeta and Haymitch. It leaves one wanting more. What could be more successful? 9/1/2011 Grier Cooper said: This series is one of those rare finds that will keep you up at night long after your bedtime... reading just one more chapter... and one more... because it is positively riveting. 5/31/2010 Lisa Cresswell said: Love, love, loved this! Asolutely cannot wait for the final chapter. Hats off to you Ms. Collins!